Growing up in a family of medical practitioners, Dr Henry Ho knew it was only a matter of time before he found a similar calling. He enjoys building beautiful smiles. 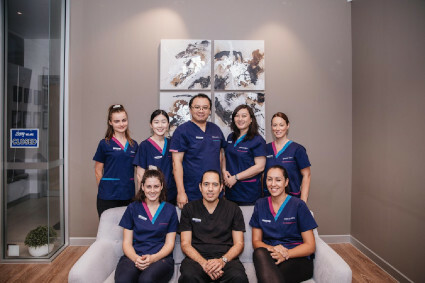 As a gentle, caring, child-friendly family dentist, Dr Sherry Chou is passionate about treating children and assisting patients in overcoming dental anxiety. Julia oversees the direction and overall management of Red Hill Dental to ensure that the highest standard of service is maintained. Her vision is to provide patients with a relaxing, friendly, and satisfying dental visit with high-quality dental care. Julia prides herself and the Red Hill Dental team on excellent customer service and quality treatment. Julia leads the team and is here to answer any questions patients may have about dental treatment, patient concerns or practice policies. When she isn’t at work, Julia enjoys traveling and spending time with family and friends. Dalia is a caring and passionate Clinical Coordinator at Red Hill Dental. She enjoys meeting people and helping them to achieve beautiful and healthy smiles. Dalia is genuine, caring, and always willing to help. When not at work, she enjoys cooking and going to the beach with her friends to play volleyball. Aimee is a friendly and enthusiastic Clinical Coordinator at Red Hill Dental. She enjoys interacting with the patients and make sure they are well taken care of and feel comfortable during their visits. In her spare time she enjoy being a new mum to a little girl, travelling (she’s been to 13 countries), dining out with friends and cooking / baking new recipes. 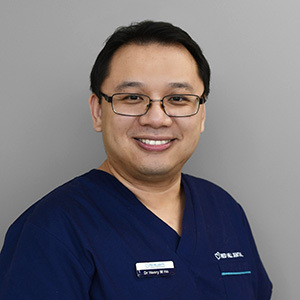 Elquin is a dedicated and professional Surgical Assistant at Red Hill Dental. He is an invaluable asset to our team as a surgical assistant. His medical experience and caring nature helps our patients feel comfortable with any procedure. Outside of work Elquin enjoys the company of his family and friends. Milly is an enthusiastic and driven Clinical Assistant at Red Hill Dental. She is currently studying dentistry at the University of Queensland. She makes it her personal goal to provide the best possible experience for all patients receiving dental treatment. When not at work, Milly enjoys the company of her family and friends and going to the beach. 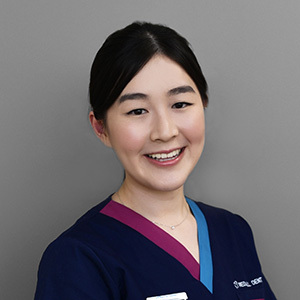 Lucy is a motivated and hard-working Clinical Assistant at Red Hill Dental. Her bright attitude creates a positive atmosphere in the practice. Outside of work Lucy enjoys playing tennis and going out with friends. Lucy enjoys traveling around the world, and has been to many places in the United States and around Australia.